A few years I caught this amazing indie film called The Year Dolly Parton Was My Mom that has always been stuck in my mind since. It is a truly brilliant film that everyone needs to see. And as an added bonus, it is a brilliant film written and directed by a woman! Also beautifully shot by a woman! And as you should already know, we love when this happens. 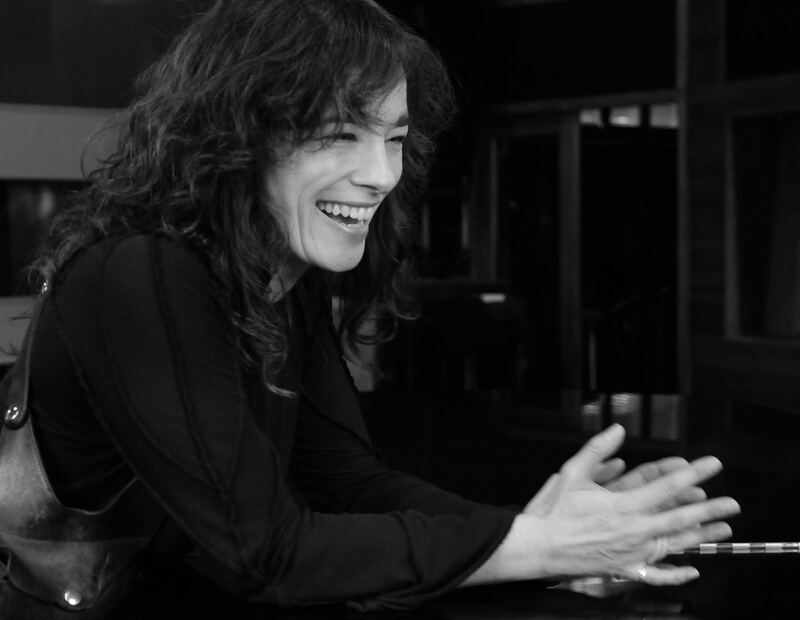 And today we having a brilliant conversation to share with you all with the film’s writer and director Tara Johns that you are all going to love. Isn’t it such a wonderful thing when somebody you are hoping will be a delightful person, turns out to be even cooler than you expected? Well, that is exactly what happened! Tara Johns is even more amazing that I could have ever expected. And while I may have initially reached out to Tara because of Dolly, it turns out that there is so damn much more to love about her! So let’s just get into it, shall we? Ladies and gentlemen, please enjoy some amazing words from the modern day genius, the wonderful Tara Johns! How did you become involved in the world of filmmaking as a writer, director, editor, and more? What initially drew you to this creative world? I accidentally fell into filmmaking! I’d started university intending to pursue journalism or some kind of as yet undetermined field in which I could make a living writing. When I transferred from SFU in Vancouver to McGill in Montreal (because I also wanted to improve my French) the only program that would give me equivalent transfer credits was Film and Communications. So it was in a pop culture studies class with an appropriately named Professor Paisley Livingstone that I discovered films were not shot in the order we see them on screen. I know that sounds utterly ridiculous today when pre-schoolers can shoot and edit films on their parents’ phones, but at the time (late 80’s), editing was still an “invisible” art form to most of the moviegoing public. At any rate, when I discovered editing, I fell in love. It was like writing – with images. At the same time, I’d also met a few people who’d started a music video production company in town and so I started cutting their directors’ demos for free just to get in more editing practice. Pretty soon, I was editing music videos for those same directors. And then a producer – a woman – worked very hard to convince me to write a concept and direct one myself. I resisted because I honestly preferred being in the shadows. But finally I accepted to direct just one – if only to see if something I wrote could be translated on screen. I was still sure I’d pursue some kind of career in writing when I graduated. Anyway, I directed that first music video and it completely changed my thinking, and possibly my future. I was hooked. 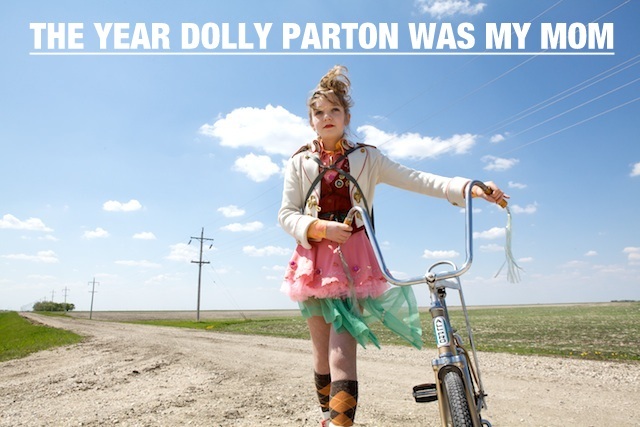 I am very intrigued by the 2011 film you wrote and directed entitled, The Year Dolly Parton Was My Mom. How did the concept of this film come about? What inspired you to tell this quirky and fascinating tale? I’d recently finished a television project and was sitting in my bathrobe drinking coffee, half-listening to the radio and noodling on an idea for a short film. I had an image of a young girl and her mother driving somewhere – a lot of emotional tension between them, and conversation that would be layered with hidden meaning. The twist would be that the woman was taking her daughter to meet her biological mother. Anyway, I was trying to develop that premise when an interview with Dolly Parton came on the radio. And without the visual distraction of her personae, I was able to hear what an incredibly bright and strong woman she actually is. She always had been, in fact – even way back in the 60’s in the south in a male-dominated industry, she carved out an almost unheard-of independence for herself. And in that interview, she also told a story of how she reacted as a very young bride when her new husband asked whether he was her “first”. She knew what he needed to hear. And she could anticipate the consequences if he heard anything else. But she also knew – even at that young age, in those highly conservative circles – that she needed to be true to herself first. So she damned the consequences and told him her truth. And I started thinking how unlikely – but how cool – a feminist role model Dolly Parton was – is – and would have been in the 70’s as I was coming of age and casting about for strong career-woman role models, of which there weren’t a whole lot. I actually had a secret fantasy when I was young that I was the biological daughter of Joni Mitchell who had famously given up a baby girl born the same year as me. So, that morning in my bathrobe, I poured another coffee, and came up with the title: The Year Dolly Parton Was My Mom, and the rest is … on the screen! And how did Dolly Parton herself manage to get on board with the project? It seems like she really opened up the doors to her career and catalog for the film? How did you manage to have the legend herself become a part of this beautiful project? And before I knew it, two years had gone by and I wasn’t that much closer to getting a direct line to Dolly. But – I finally had a really solid draft of a screenplay that I was pretty confident she would like – if ever I could find a way to get it to her. Right around that time, my cyber-stalking paid off when I found out a Canadian producer was just finishing a short documentary on Dolly’s literacy foundation – that featured an interview with the object of my obsession. Since we Canadians are all practically family ;), I immediately tracked down and called up that producer and presented my case. That producer, (Brad Horvath) very kindly put me in contact with the president of Dolly’s charity foundation and then he responded to my query as to how best to get my project into Dolly’s hands by giving me Dolly’s right-hand woman’s office phone number. Before I made that fateful call, I actually wrote myself a little script. I had one version in case of an answering machine and one in case I got an actual person on the phone. I was praying for an answering machine. But as luck would have it, I got the woman on the phone on first try, and pitched her twice (the first time I was talking too fast for her to understand me). And she finally said in a bored Southern drawl, “Well alright, you can send the package along.” And she hung up. So, I quickly FedEx’d a copy of the script along with a painstakingly composed request letter to Dolly and then… I waited. I have always loved to showcase the power of talented women working behind the camera in different capacities, because as an outsider looking in, it feels like the world of film is still a male drive and oriented world. In your personal opinion, do you find that their are more unfair obstacles thrown your way just because you are a woman? Well filmmaking has enough obstacles to go around for everyone! 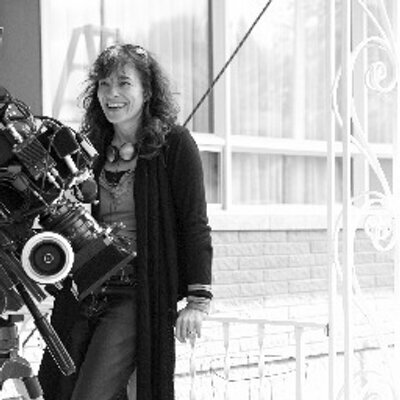 But for sure – despite all the growing awareness and affirmative-action type policies around gender parity – filmmaking is still very much a male-dominated field. You only have to look at how skewed female representation still is both in front of and behind the camera to figure that odds are good my gender has presented extra obstacles along the way. But I actually direct advertising occasionally and have noticed a slight uptick in how many more women are getting gigs in that world. Historically, male – and even female – advertising creatives preferred to work with a male director – and in many cases it was an unconscious bias. But that became such a catch-22 for women because, right or wrong, decision-makers are still less inclined to give a woman without much experience a shot at the same thing they think a similarly inexperienced guy can handle – just because he’s a guy. And so then how is that woman going to get experience in the first place? So yes maybe I’d be more successful, more prolific, and I know I’d definitely be better-paid in this business if I were a man. But, I’ve also probably stretched and created opportunities for myself and been lucky along the way, so I know it could have been worse. Still, things need to change on a broad scale. And they are. Slowly but surely. And I love what I’m hearing about projects like this film Band Aid, a cool, smart romantic comedy written and directed by Zoe Lister-Jones and produced with a 100% female crew. At least all those women are going to have that experience going up for the next opportunity! As somebody who is obsessed with just about all things Kerouac, I am also very intrigued by your project, A Nutshell of Infinite Space. So I am compelled to ask sort of the same question, where did this truly unique idea for a film come from? Are you also a fan of the Beat generation? This project is my screen adaptation of the play, Michel and ‘Ti-Jean written by George Rideout – a Texas-born, Québecois transplant who now teaches literature in a university here. As an American male coming of age in the late 50’s, he loved Kerouac, wrote his thesis on Kerouac and then when he came to Canada as a young man, he discovered the deep Québécois, francophone roots of Kerouac. George’s play throws Kerouac and Michel Tremblay (a Québecois French language literary icon) together in a fictitious meeting that highlights the surprising similarities of these two great writers, one at the end of his career, the other at the beginning. One who had stayed in Québec his whole life, the other who had buried it for almost as long. To be honest though, I was only remotely familiar with the Beat generation when I first took on the project. But George’s play gave me a unique window into that era through the jaundiced eyes of Kerouac at the end of his life. And my related research filled in the rest. While I can’t say I’m a Beat geek or anything now, I can definitely say I am a more educated and appreciative consumer. I noticed a common trait between the stories of Dolly and Nutshell, where you almost seem to have Canada and The U.S. playing characters that are aiding an antagonist in a search for their own identity in a way. Is this a deliberate method? Or am I possibly stretching it a bit too far? No you are not stretching it too far – this is my most favourite question yet! I am thrilled you picked up on that. Although I think you probably meant “protagonist” when you wrote “antagonist”[Editor’s Note: Tara was exactly right. I just messed that up pretty bad], but yes by all means, identity is a recurring theme here on both the personal and the societal levels. Until quite recently, our national “identity” as Canadians has been a slippery concept. For the longest time, what it meant to be Canadian was all too often defined in terms of what we were not – i.e. American. But conversely (and a bit perversely) our greatest Canadian success stories were the ones where people “made it” in the US. So we have such an ambivalent and complex relationship with the U.S. that at once nourishes our identity and undermines it. So I guess the fact that my protagonists in both films have a bit of a hero-worship thing going on in that they figure they’re going to find the fulfillment or validation they’re seeking once they meet this hero (Dolly in one case, Kerouac in the other) and that both these heroes’ identities are so closely tied to iconic U.S. characteristics is me playing with that longstanding relationship. What else does the future hold for you? Anything you would like to tell our readers about? I actually just finished a very special short film project – it was made with the National Film Board, which is an institution that loomed large in my childhood and in the Canadian cultural identity at large. Anyway, the short is an homage to one of Quebec’s iconic filmmakers who just received a Governor General’s lifetime achievement award – our country’s highest honour in the arts. It’s originally in French but its English title is, For the Love of the Fight. Although I often work in French when I do advertising, this was my first original, creative work in French. And it was a great privilege to be able to do it – both with the Film Board, and in honour of such an important figure in Quebec cinema history. For me – an English-speaking outsider – the whole experience was definitely a bit of a stepping stone toward better integrating into the French-language filmmaking community here. Especially because the French-language side of Quebec cinema is such a rich, and thriving community with strong, distinct influences and recently some really remarkable exports (aha, here comes that old Canada-US ambivalence and contradiction). With homegrown filmmakers like Denis Villeneuve and Jean-Marc Vallée making their very distinct marks on Hollywood and beyond, it’s an exciting and vibrant time to be coming up in the very place where they found their voices. So when I got the news a few weeks ago that we received financing to develop my first feature-length film in French, I couldn’t have been more thrilled. It’s called, Accommodements raisonnables and will be coming soon to an art-house cinema near you :)! Finally being able to send you my complete answers to your very thoughtful questions! Thank you for asking them, Ron and for taking the time to look at and reflect on my work. It’s been a real pleasure to get to “talk” with you and be part of the Trainwreckd Society.